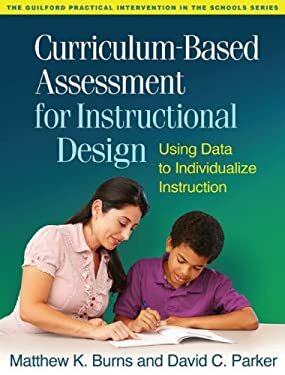 Accessibly written and featuring illustrative case examples, this book provides a complete guide to curriculum-based assessment for instructional design (CBA-ID). CBA-ID comprises easy-to-implement, reliable, and valid procedures for determining a student's instructional level and individualizing instruction by developing tasks that are neither too hard nor too easy. It is a key tool for supporting K-8 students who are struggling in reading, math, or writing, and is ideally suited for intervention planning within multi-tiered systems of support. Including reproducible forms, the print book has a large-size format and lay-flat binding to facilitate photocopying. Purchasers also get access to a Web page where they can download and print the reproducible materials. This book is in The Guilford Practical Intervention in the Schools Series.